Time to start planning for another great Sports Cards Plus Event. 2014 SPx Football is due in Wednesday, June 25th and it's going to be HUGE. Pre-order now for special pricing, ONLY $105.26 per box and you are eligible to enter our "First One to Pull a Johnny Manziel Autographed Jersey RC in our store Wins $100" Contest. Go to Sports Cards Plus TODAY and get in on this special, limited time Low Pricing. This pricing is only available for in-store pre-order purchases. No phone call orders. 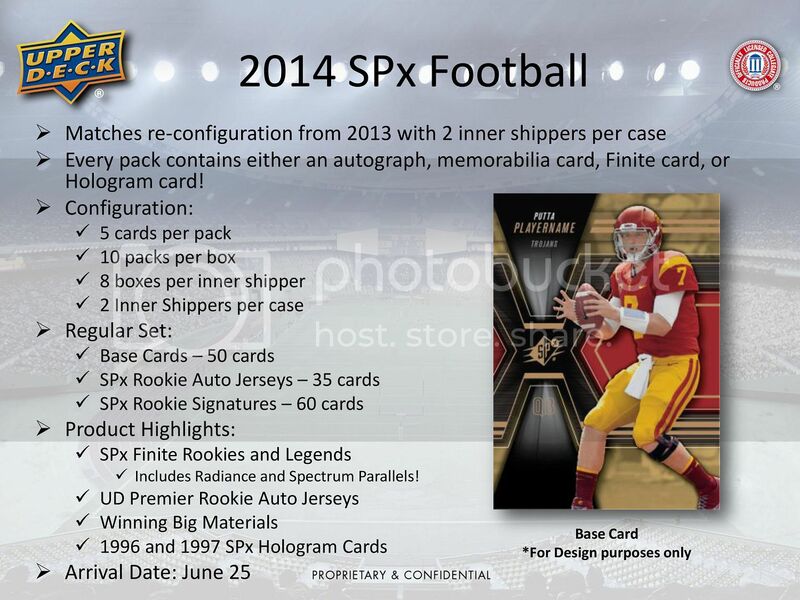 2014 Upper Deck Football quickly went from $89 per box to $105 per box. 2014 SPx will be $119 per box before you know it. So come in MONDAY and pre-order your box.